Treasury cider has gotten a new pop of color and better yet, a new pop of flavor! Since October of 2017 we have released four out of the seven bottlings–yes you heard that correctly–seven bottlings! The apples were harvested fall 2016, pressed on our antique rack and cloth press, fermented and aged for a year and are now ready to taste! It’s a long process to get from the tree to the bottle and if you haven't had a chance to try them yet, we highly recommend it. Tastings are available every day from 12pm-6pm in our farm store. Stay tuned because this winter we will be releasing our final three bottlings to complete the 2017 collection. Treasury Cider is featured in The Valley Table's Summer issue! Check out the story for a peak into what goes into each bottle of cider, the story behind our name, how we started and a hint as to what is coming. In honor of Hudson Valley Cider Week., we're releasing a destination cider! Stop by the farm to taste our small-batch cider from our 2015 vintage, called Onda, available only at our farm store and in our cider garden on weekends! A unique Sidra or Spanish-style farmhouse cider, Onda (which means “wave” in Spanish) was made with apples from the 2015 crop and aged on the lees in our cooler for 18 months. During this time, extended contact with yeast gave it a kaleidoscope of savory flavors and funk. We only produced about 50 gallons of this special cider. Onda tastes like green apples and lemonade in a hayfield with a loaf of sourdough bread. It is salty, savory and light-bodied with a brothy, umami core and a long complex finish. We recommend it for fans of Gose and sour beers. Try pairing it with braised pork belly, short rib, rustic Spanish cuisine and rich bean and tomato stews. We planted a bunch of new heirloom and cider specific apples varieties like Brown Snout, Hewe's Virginia Crab, Wickson and Harrison. Thanks to generous assistance in providing the trees by Glynwood. Check out their cider project! Treasury Cider was chosen to be featured at Samin Nosrat's launch party for her new cookbook and New York Times bestseller, Salt Fat Acid Heat. We're flattered and excited to celebrate the experience of creating great meals and can't wait to get cooking! 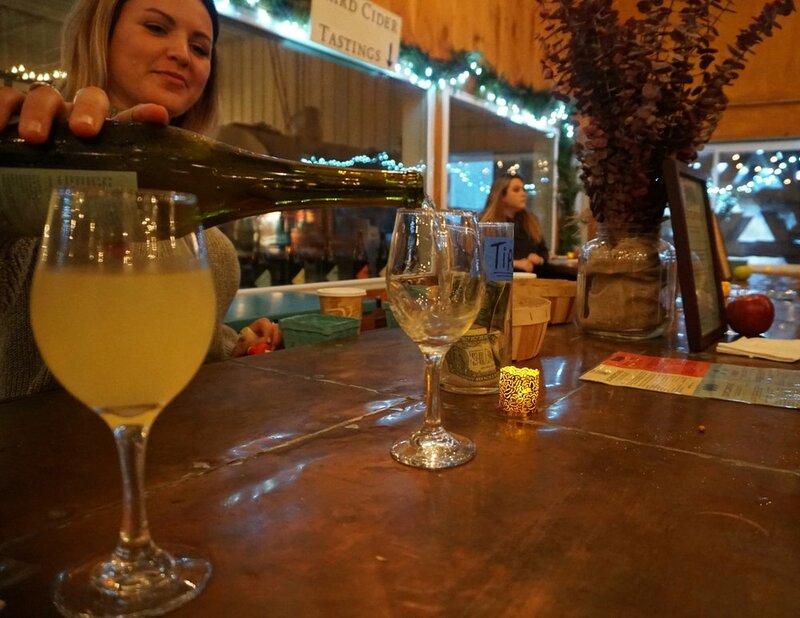 Check out a blog from our friends at Davines discussing the "new wave" of hard cider producers that have come about in our area, including Fishkill Farms and our very own Treasury Cider.